A former Illinois death row inmate, Nathson Fields, was acquitted on April 8 of a double homicide for which he spent eleven and a half years on death row. “I feel like my prayers have been answered,” said Fields after the judge issued the not guilty verdict in the retrial. In Field’s original trial, the judge took a $10,000 bribe, but then returned the money when he discovered he was under federal investigation. Fields and a co-defendant were convicted and sentenced to death, but the convictions were thrown out when judge's corruption was uncovered. The co-defendant pled guilty to a charge of armed violence in exchange for his testimony against Fields in the retrial. 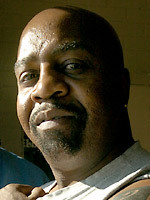 Fields has been residing in the Chicago suburbs since his 2003 release on bond. The crime occurred in 1984 and Fields was accused of killing rivals to the El Rukn gang. The judge at the trial, Thomas Maloney, was convicted of fixing the original trial and served 13 years in prison. (R. Hussain, “Man formerly on death row acquitted in retrial,” Chicago Sun-Times, April 8, 2009). See Innocence. Since 1973, 130 other inmates have been exonerated and freed from death row.